The dollar remained steady on Tuesday due to upbeat US job data and the Asian stocks and shares gained due to a firm Wall Street and Federal Reserve saying that the hike in interest rate is on hold for the time being. MSCI’s index of Asia-Pacific shares other than Japan’s Nikkei rose by 0.5% and remained near the four-month high. 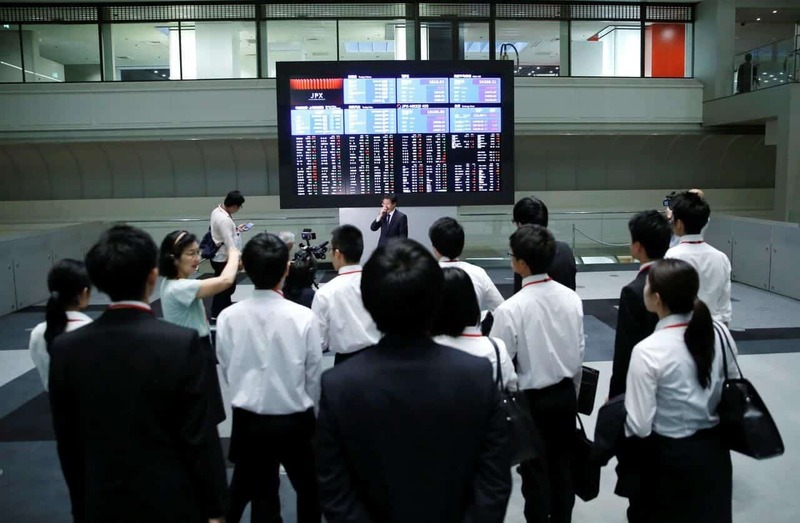 Nikkei rose to its highest in seven weeks only to fall and end the day with a 0.2% decrease. Trade in other Asian Markets in South Korea, Indonesia, Singapore, China, and Taiwan was light as they were shut for the Lunar New Year. The shares in the European Market is expected to be higher with FTSE, CAC, and DAX likely to increase by 0.3 to 0.5%. The British Pound fell by 0.1%. There was a marked increase in the Australian shares with an increase of 2% as the inquiry into the financial sector misconduct ended and was found not guilty. The Gold fell by 0.4 percent. Jerome Powell, the Chairman of the Fed, indicated that the three-year interest rate hike would more likely come to an end even after the outlook for the US economy is cloudy due to global economic slowdown and trade tensions between US and China. The Fed statement issued after a dinner meeting on Monday by Chairman Powell, Trump, and Treasury Secretary Steven Mnuchin said that ‘the path of policy will depend entirely on incoming economic information’ and said that the three-year tightening drive would end soon. Earlier in the week, the US data announced that there was a spurt in US job growth in January and the manufacturing sector was resilient despite a fall in December which raised fears of a slowdown in the US economy. The industrials and the technology sectors made some big gains and rose for the fourth day in a row as the investors are bracing themselves for another huge week with more fourth-quarter earnings reports. With that, the S&P 500 made some gains and so did the Bloomberg Dollar Spot Index which increased by 0.3%. More good news came from Wall Street as The Cboe Volatility Index or more familiarly called the fear gauge dropped to its lowest in four months to 15.60. Even the global gauge of stocks the MCSI also reached a two-month high and has now increased by 13% from its two-year low in December, thanks to the announcement made by the Fed.